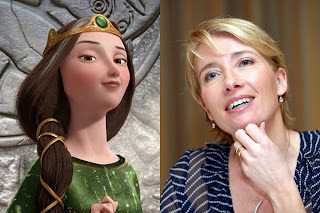 Home / Disney / Emma Thompson / Mark Andrews / movie / Pixar / Walt Disney Studios / Acting Royalty Emma Thompson Plays Queen Elinor in "Brave"
Acting Royalty Emma Thompson Plays Queen Elinor in "Brave"
A vision of grace, wisdom and strength of character, Queen Elinor is fiercely dedicated to the well-being of her family and kingdom. As the measured, diplomatic counterpoint to her more impulsive husband, King Fergus, Elinor carries the weight of the kingdom on her shoulders in order to maintain the fragile peace between the volatile clans. Elinor strives to instill in Merida the knowledge and manner of a royal, expecting complete commitment to Elinor’s standards. But her vision of her daughter’s future is at odds with Merida’s rebellious spirit and desire to forge her own path, which ultimately causes Elinor to face calamitous consequences. According to Pilcher, the design team studied paintings of Lady Macbeth, among other tragic heroines, incorporating the heavy robes and thick fabrics they observed to illustrate the weight Elinor bears. 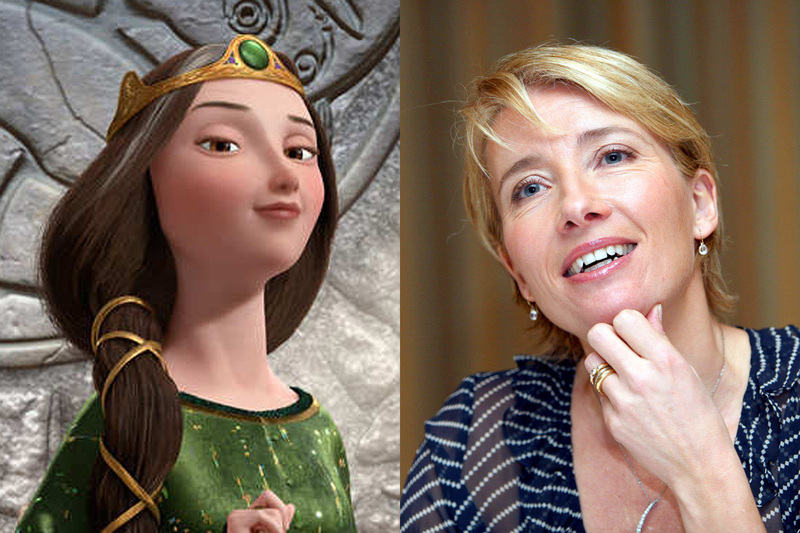 Emma Thompson says it’s that attention to detail and intense research that makes Pixar successful. “I was terribly pleased to be asked to come and work for Pixar, because their films are works of genius and extraordinary art,” she says. “And the thing that really made me want to do ‘Brave’ even more than my worship of their work is that it was set in Scotland. I’m half Scottish, and I live there for three or four months of the year. Scotland to me is the land of the free, the land of the brave. The Scottish landscape is epic and lends itself to epic emotion. Distributed by Walt Disney Studios Motion Pictures International, “Brave” takes aim at Philippine theaters on August 01, and will be presented in Disney Digital 3D™ in select theaters.